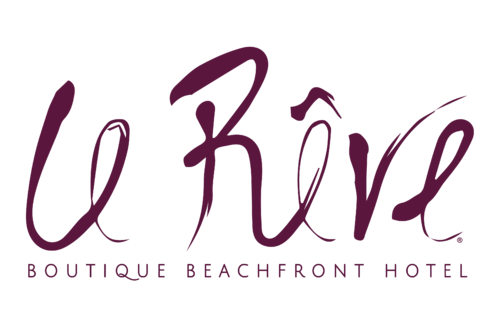 Le Rêve Boutique Beachfront Hotel is located in the heart of the Riviera Maya, at Xcalacoco Beach, just ten kilometres north of Playa del Carmen, México, where guests can enjoy restaurants, shops and nightlife. Below you will find just a few of the most popular attractions and things to do in and around Playa del Carmen. Our staff and concierge are happy to make recommendations on what to do and see as well as assist with arranging tours, tickets, transportation and anything else required to make your Riviera Maya vacation an unforgettable experience. Whether you’re looking to relax on the beach, browse through quaint shops or sample delectable restaurants, you’ll find it all at Playa del Carmen. Don’t forget to stick around for the exciting nightlife after dark, too! Looking for exciting rides, lots of fun and adventure everywhere you turn? Then Xcaret Park will definitely fulfill that desire with activities of all kinds. Enjoy this scenic theme park and make some great memories! Get into a jungle adventure at this amazing park! You can zipline, raft and just enjoy the natural surroundings that make this region so stunningly beautiful. Make the most out of Cancun at this beautiful resort area. You can enjoy the best of the region with a luxurious vacation that’s convenient to fun activities, shopping, top dining spots and an exciting nightlife. Swimming, snorkeling and adventure await at this stunning park. You can even zipline to get a different perspective of the spectacular setting. And don’t forget to sample the four delicious restaurants during your visit. Are you interested in exploring Mayan ruins? Do you like lounging on the beach? You can enjoy the best of both of these fun activities when you visit this scenic town. Explore this gorgeous bay village for a relaxing retreat from the hustle and bustle of daily life. It has one of the most beautiful beaches, too. You’ll never forget this lovely setting. During your visit, seeing an underground river or a cenote is an experience you shouldn’t miss. Plus, you can actually view fish and other animals in action, making cenotes ideal for diving as well. This particular attraction is distinct due to the arch that shows its distinct entrance. Del Carmen Chapel at the 5th Av. Before you leave Playa del Carmen, make sure to stop by this beautiful chapel, which is a very popular destination. Its view right in front of the ocean makes it even more stunning to see.